Polish company Jetson Aero successfully completed the test flights of their personal air vehicle (PAV) prototype called the Speeder, opening the way to commercial production of a flying car. With giants such as Boeing and Airbus unveiling their own versions of a flying car and a PAL-V from Holland supposed to hit the shops this year, Poles are putting their own spin on the application and construction of flying cars. What the 1960s Hana-Barbera’s cartoon ‘The Jetsons’ envisioned as an undefined future is becoming reality. Their imagined flying saucer-like cars take the shape of aerodynamic capsules with rotors attached or, in case of Jetson Aero’s model, eight powerful electric motors with lithium batteries, similar to those used by Tesla. Tomasz Patan, the man behind the Speeder’s technical design and construction, told TFN: “Speeder is a prototype of an electric single-person flying vehicle. The Speeder is built on an aluminum frame, which in the future should be replaced by carbon composite for enhanced durability and lightness. The ready to use Speeder will weigh only 80 kilograms. The vehicle is designed to be easy to control thanks to the automatic stabilizing systems and GPS-based sensors. To make it even safer, the Speeder is equipped with a ballistic parachute, anti-collision sensors and all systems are backed-up. “The Jetson Speeder is an extremely sophisticated ‘toy’ or gadget, similar to a water scooter or quad. We did not try to invent the Holy Grail of the future of transport - it is only the first step on the long and winding road to it,” said Patan. The possible uses for the car are numerous. From extreme sports and racing, search and rescue missions to a patrol vehicle for the police, border guards and armed forces. It could also be used to transport sensitive cargos such as blood or transplant organs. Now Patan with his business partner Peter Ternström are working on their offer and production. They hope to sell the first Speeders by the end of 2019. 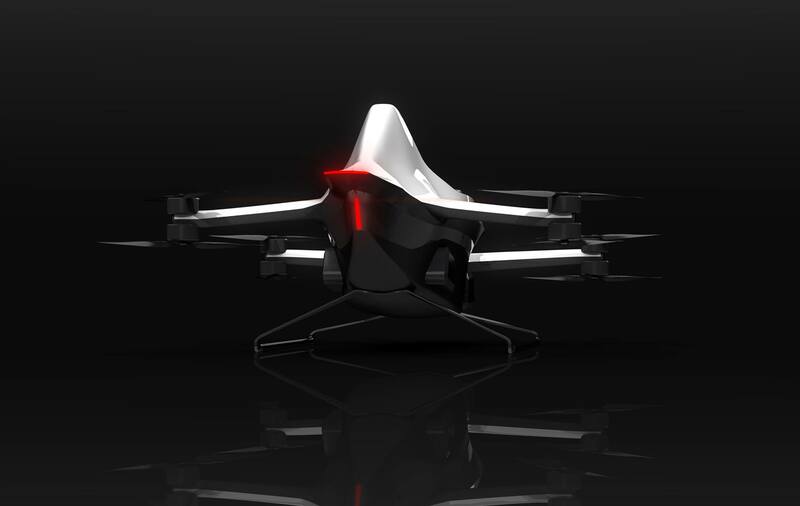 You can follow their progress on Jetson Aero’s Facebook page.